Our very best nymph this spring has been the Mega Prince size #6-10. It has even “out-fished” the Possie Bugger! I look for that to change as the water drops and clears but for now high flows and slightly off colored water have seen the Mega Prince “dominate” the local nymph fishing scene. It’s been vital to get the Mega Prince down so I am often using another large nymph tied to the bend or eye of the Mega Prince. Trout Retrievers, Fat Bastards, or Double Bead Stones work well as additional flies. Some runs might require adding split shot to the chuck and duck rig. The set up is to use a 9ft leader and a Thingamabobber or a “right angle” nymph rig and get down deep. Often running 5-7 feet of tippet under the Thingamabobber. 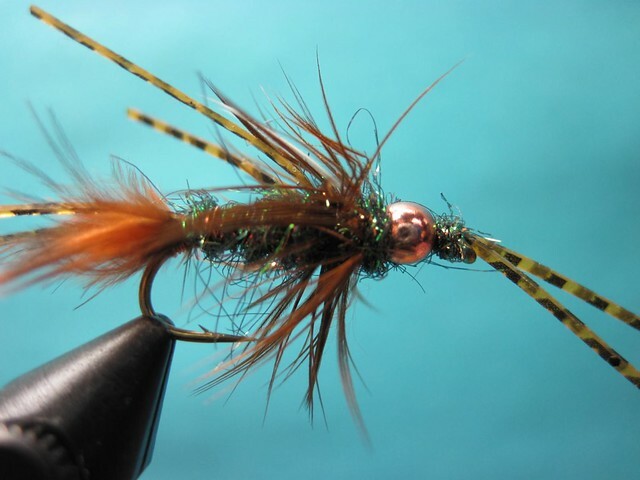 This entry was posted in Fishing Reports, Fly Tying, Lower Willamette, McKenzie River. Bookmark the permalink. wonderful painted girl of the stream.